This must-have shop tool cuts your detailing time so you can increase your riding time. 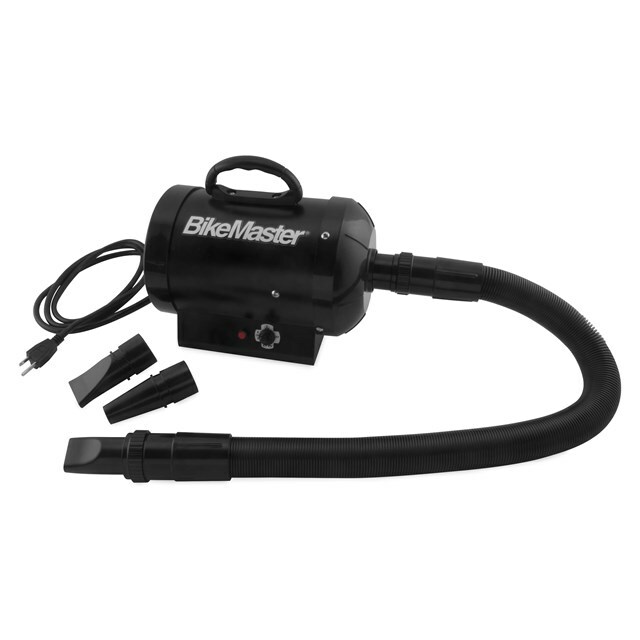 A strong blast of clean, filtered air blows the water from hard-to-reach detailed areas of your bike for a spot-free shine. Easy-tocarry, lightweight Detail Blow Dryer features reusable parts for extended life and an expandable hose for excellent reach and convenient storage.